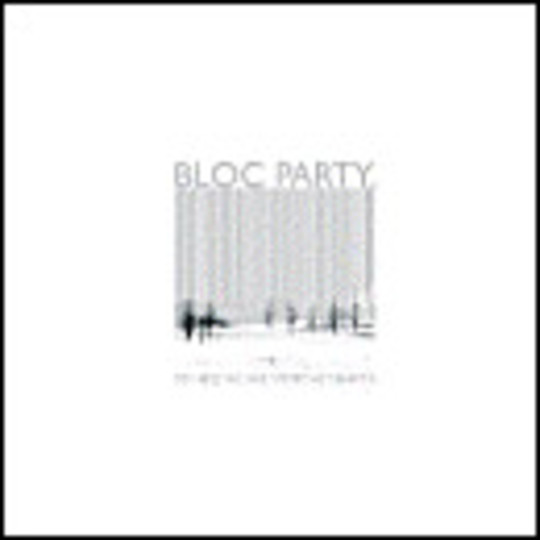 In winter the indie singles can come out to be massive chart hits, and no single deserves it more than 'So Here We Are' by Bloc Party**. A melancholy riff that hooks you. Bittersweet progressions that make your walk to the shops feel like a poignant scene in an art house film. The cymbals chime. The bassline twists. A building jam into mad Cure**-crazy drums. Explosive vocals that you can't decipher but nonetheless believe. It all comes together to form a song that fills you up and nourishes you; makes you feel warm during the last of the winter months. Makes you feel that every moment is special and profound. 'Positive Tension traverses an altogether different landscape. It is a strange pastiche of Everything Happening in Indie Right Now that demonstrates how good the A-side is in comparison. The die-hards will undoubtedly love it, though.